It is generally assumed that the domain contains an interval of positive length. where k is any integer. is the set of all values of f when the variable x runs in the whole domain of f. For a continuous (see below for a definition) real-valued function with a connected domain, the image is either an interval or a single value. In the latter case, the function is a constant function. has the same domain as f (or is everywhere defined if r = 0). are functions that have a domain containing X∩Y. which is a function only if the set of the points (x) in the domain of f such that f(x) ≠ 0 contains an open subset of ℝ. 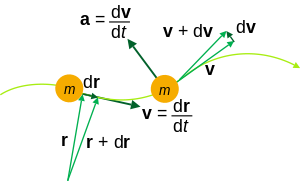 This constraint implies that the above two algebras are not fields. A function is continuous if it is continuous at every point of its domain. ^ R. Courant. Differential and Integral Calculus. 2. Wiley Classics Library. pp. 46–47. ISBN 0-471-60840-8. ^ Rudin, W. (1976). Principles of Mathematical Analysis. New York: McGraw-Hill. pp. 98–99. ISBN 0-07-054235X.